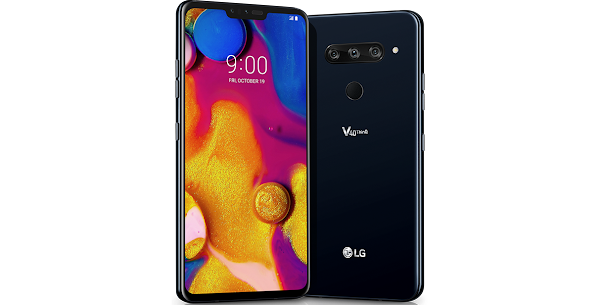 The LG V40 ThinQ on Verizon is receiving a software update which brings new camera features to the device among other improvements. The update also includes security enhancements courtesy of the Android October patch. Verizon has released the changelog for the update on their support page, detailing the new features and improvements the update offers. The first thing users will notice is the new MyAvatar app, which lets you create a human avatar by combining your own expressions. You can do this by using your front camera in selfie mode and selecting Sticker, which lets you take a picture or record a video with MyAvatar. You can also use the 'avatar+' button to create your Avatar or use the 'Save avatar as GIF' option if you want an animated avatar. You can also pick from one of the 15 different animated My Avatars saved in the Gallery / My Avatar folder. The update also adds an Augmented Selfie option, which allows users to use the V40 ThinQ's AR features to apply different backgrounds when in Portrait mode. Just select a solid background color from the palette, and choose an image from Gallery or take a picture. When you capture a picture of a person after you select a background, Augmented Selfie will merge the background and captured portrait.